Unleash your design potential by taking part in our free webinars. See how easy and efficient the design of composites applications can be with CompoSIDE. We hope that you will be able to join us. If you are unable to attend, recordings of webinars are also available for you to watch at your convenience. If there is a topic you would like to see covered in the future please let us know. We always welcome your feedback! A number of YouTube tutorials are available to enhance your CompoSIDE skills and experience. Please visit our YouTube channel to access all of the videos available. You can find tutorials ranging from adding a new CompoSIDE user, designing a simple laminate to ones covering more complex design structures! Please subscribe to our channel to be kept updated. We add new tutorials regularly. In this CompoSIDE tutorial, we will show you how to design a longitudinal panel from a yacht, reducing weight by introducing penetrations. This special CompoSIDE tutorial guides you through how to create a more complex 3D model using CompoSIDE's modules. The webinar was held on the 20th of October 2015 by Radek Michalik (Managing Director) & Jon Evans (Technical Support). Bill of Material report for a geodesic dome structure generated during the CompoSIDE Open Academy Webinar 5 – Bill of Material. The webinar was held on the 29th of September 2015 by Radek Michalik (Managing Director) & Aleksandra Dziekonska (Technical Support). The webinar was held on the 9th of June 2015 by Radek Michalik (Managing Director)& Aleksandra Dziekonska (Technical Support). Bill of Material Keel Grillage Structure Laminate Table generated during the CompoSIDE Open Academy Webinar 3 – 3D Composite Frames Design. 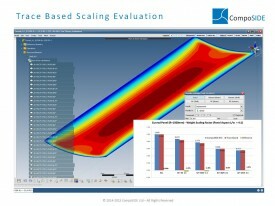 Bill of Material report generated during the CompoSIDE Open Academy Webinar 3 – 3D Composite Frames Design. Issue P2 – Hybrid Design – Glass Longitudinals. Bill of Material report generated during the CompoSIDE Open Academy Webinar 3 – 3D Composite Frames Design. Issue P1 – Full Carbon Design. 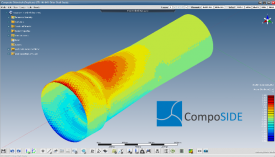 Slides form the CompoSIDE Open Academy Webinar 3 – 3D Composite Frames Design. The webinar was held on the 12th of May 2015 by Radek Michalik (Managing Director)& Aleksandra Dziekonska (Technical Support). Slides form the CompoSIDE Open academy Webinar 2 – Shell Design. The webinar was held on the 14th of April 2015 by Radek Michalik (Managing Director) & Aleksandra Dziekonska (Technical Support). Slides form the CompoSIDE Open academy Webinar 1 – CompoSIDE Intro. The webinar was held on the 17th of March 2015 by Radek Michalik (Managing Director) & Aleksandra Dziekonska (Technical Support).